Showing results for tags 'special constabulary'. Is there a better way to make use of Specials? Being of limited experience, I thought it would be good to get opinions on the question above, that I've been thinking about recently. How are Specials used in your force? And how do you think better use could be got out of Specials? Just out of interest (and to use the 'official hashtag' of #SpecialsWeekend) what did most forces do - 'Fatal 4' road traffic stuff seemed to be the common theme after a quick twitter scout. It was in Northumbria's central command. Hello all, Just saw that Hampshire Constabulary are recruiting for Special Constables again, and a question came to my mind. Hoping some of you may be able to answer it. It states that the minimum age to join up is 18yrs old, and I believe this is with most forces. But I have started to hear that you can join before the age of 18, or at least apply and do all your training, as you will be 18 by the time you have finished training. I heard from one Officer that you may be able to apply at just over 17 and a half years old. Thanks for reading and I will be very grateful for anyone that can answer this question for me, something I have been wondering about for quite some time since I first heard about it. A Special Constable from Bedfordshire Police has been shortlisted for a prestigious award.John Powers and Charlie Special Constable John Power, 30, who is the UK’s first Special dog handler following a battle with Cystic Fibrosis (CF) and a double lung transplant, has been shortlisted for the Individual Award at the Lord Ferrers Awards 2015. The awards, previously known as the Special Constable and Police Support Volunteer Awards, highlight the vital role volunteers play in support of policing, by giving up their free time to make communities safer and enhancing the effectiveness of policing across England and Wales. John was diagnosed with CF when he was only a year old. His health had been deteriorating gradually, and at the end of 2011 his specialist recommended he should join the transplant waiting list before he became too ill to survive a potential transplant operation. As a result, John took on a non-operational role with Bedfordshire’s Special Constabulary, working with two explosive-detection search handlers and their dogs at Luton Airport. It was this experience which led him to explore the possibility of whether, as a Special Constable, he could specialise in this area. In 2012, John received a life-changing double lung transplant. Once back to full health and with the support of senior staff at Bedfordshire Police, John was accepted on to a training course in Surrey with Charlie, the three year old black Labrador. John and Police Dog Charlie successfully completed their training earlier this year, and the duo will work at Luton Airport searching for explosives, and carrying out checks prior to VIP visits. SC Power commented: “I had heard of the award but my nomination came completely out of the blue. I did not think I would ever be nominated, so this is an honour. Since I had my transplant I have been making the most of every opportunity, and it’s fantastic to be recognised for my work as a Special but I think every volunteer across the country deserves recognition for their time and commitment.” Wayne Humberstone, Specials Chief Officer for Bedfordshire Special Constabulary said: “John fully deserves to be shortlisted - he is an extremely dedicated individual and his contribution to the Specials is invaluable. Although all the nominees do incredible work around the UK, we will be keeping our fingers crossed that John comes out on top.” The awards ceremony will be held on 9 September at the Houses of Parliament. To find out about becoming a Special with Bedfordshire Police, visit www.bedfordshire.police.uk. A Special Constable from Bedfordshire has overcome Cystic Fibrosis (CF) and a double lung transplant to become the UK’s first ever Special Constable dog handler. Special Constable John Power, 30, has volunteered with Bedfordshire Police for eight years. John was diagnosed with CF when he was only a year old. Throughout his childhood and teens, he endured several spells in hospital. Thanks to medication and lifestyle management, his health did not start to deteriorate until 2011, when he began to struggle to walk upstairs without stopping for breath. As a result, John took on a non-operational role with Bedfordshire’s Special Constabulary whilst still working his day job in Bedfordshire Police’s Force Control Room, and facing an unsure wait on the transplant waiting list. While he was non-operational, John worked with two explosive-detection search handlers and their dogs at Luton Airport, helping to test the dog’s ability to detect explosives. It was this experience which led him to explore the possibility of whether, as a Special Constable, he could specialise in this area. In 2012, John received a life-changing double lung transplant, allowing him to get back on the beat. Once back to full health and with the support of senior staff at Bedfordshire Police, John was accepted onto a training course in Surrey with Charlie, the three year old black Labrador. Earlier this year John and Charlie successfully completed their training and Charlie is now a fully licenced proactive explosive search dog. The duo will work in the county searching for explosives, and carrying out checks prior to VIP visits. John says: “My lung transplant changed my life completely and I feel lucky to be back on duty. I am doing things which I never thought would be possible, so I am making the most of every opportunity. “It’s an honour to be the UK’s first Special Constable dog handler. I think it’s great that, as a volunteer, I am able to specialise in this area. Being a Special is my way of giving something back to my community and I hope I can inspire others to do the same. “Before I started training with Charlie, I had him for three months so we could bond. Before our course we did some basic training with the dog handlers at Luton Airport to get him ready. He is a fantastic dog with great motivation and he loves his work.” Wayne Humberstone, Specials Chief Officer for Bedfordshire Special Constabulary commented: “From speaking to other dog schools we understand that no other Special Constable has been trained as a specialist dog handler before. This is a huge achievement for John, and helps us achieve Our Vision of becoming a well-respected, high-performing, efficiently run police service working together to protect people, fight crime and keep Bedfordshire safe.” The force’s next Special Constable information evening is on 8 June at 7.30pm, at Bedfordshire Police HQ in Kempston. To find out more about becoming a Special Constable, or to register for the information evening, visit our events pages. I've seen lots of tweets today on my twitter feed regarding the drop in numbers of regular officers and PCSOs, but what nobody seems to have noticed is that the biggest percentage drop is Special Constables. Data tables available here: https://www.gov.uk/government/statistics/police-workforce-england-and-wales-30-september-2014-data-tables Special Constables are on table 5. So, why do you think that Special Constabulary numbers are still dropping in most forces? 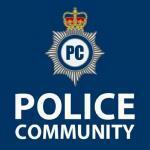 Need a contact- ANY S/Sgt, S/Insp or or anyone involved in Special recruitment. Well, as above really- I'm an independent special with TVP and really want to transfer to my home force. I've sent an email enquiry more than a month ago, with no response. I wondered if anyone might be able to put me in contact with their line management, who might then be able to give me a specific person to talk to, or even just talk to me about the process. I'm in the WGC/Stevenage/Hatfield area, if there is anyone working local, please get in touch. I didn't take a regular police job offer, I'm in withdrawal now, and need to keep my finger in the pie so to speak. Please, help a brother out!